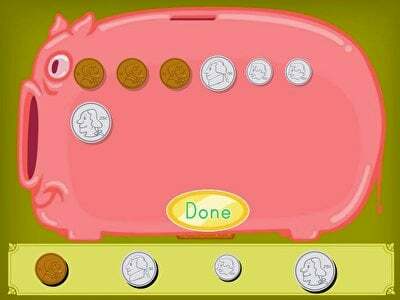 Money recognition is an important skill, both in higher mathematics and daily life. 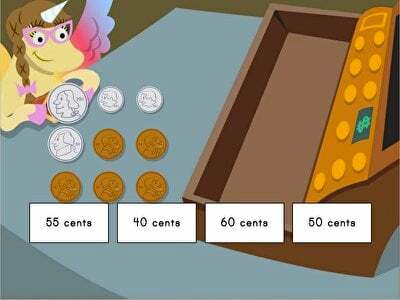 These money literacy games, great for 1st and 2nd grade, make building this skill a blast. 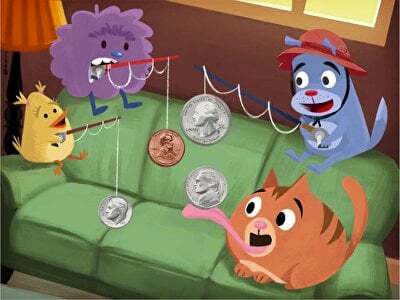 Fish for coins between cushions, save spare change in a piggy bank, and help a friend pay at the cash register to learn about coins, money values, and addition.